allowing users to "collect people, places and things with a touch". 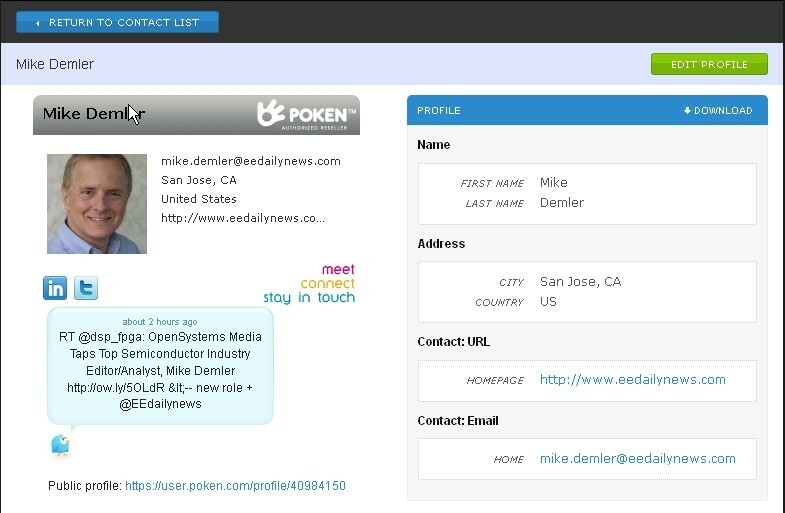 Poken (headquarterd in Lausanne/Switzerland, with offices in San Francisco and Sibiu/Romania), describe themselves as the "market leader in social media networking hardware devices". A simpler description, perhaps, is that the company makes devices which replace business cards and physical collateral, for the exchange of information at social events like industry trade shows and conferences. The Ninja PokenSPARK in the picture above is one of more than 30 character designs that the company has developed, but customers can also have Pokens made with their own brand, replacing USB memory sticks that are commonly used at trade shows. The sample shown is one of the company's 2nd generation devices, which does not use NFC (near-field communications), but the company is about to release an NFC-equipped version in the same form factor. Denny Mayer, VP of North American business development, speaking at a recent Santa Clara IEEE Consumer Electronics Meeting, said that the company has sold 1 million Pokens. Poken also will be embedding their technology in mobile phones, and have recently struck a deal to provide NFC technology for Nokia. 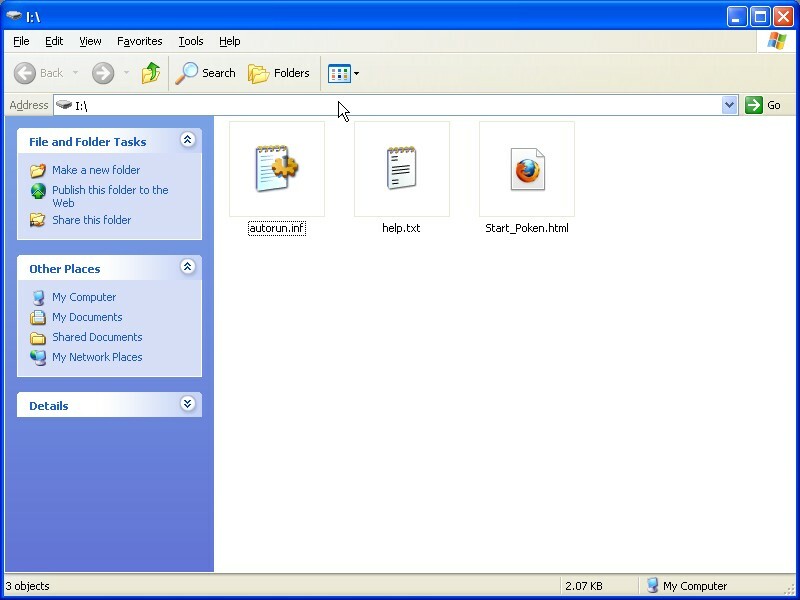 The Poken stores no data other than device serial numbers, and this link to the Poken user hub website. To use a Poken, users touch their devices to each other until the spot glows green.The Poken then records the contact, and the time at which it occurred. Pokens only store device serial numbers, along with a link to the Poken site. Pokens contain a small Lithium battery, that will be sufficient for approximately 200 touches in the NFC version. The Poken character is a cap for the USB connector. When you remove the character cap from a Poken, you can see the USB connector. The sample device glowed red for a few minutes after it was removed from a computer. 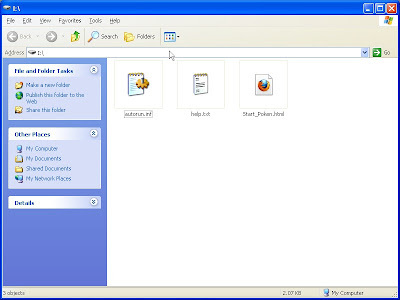 When the device is connected through a USB port, you can click on the stored Start_Poken.html link to go to the Poken hub user site. The device then needs to be registered. 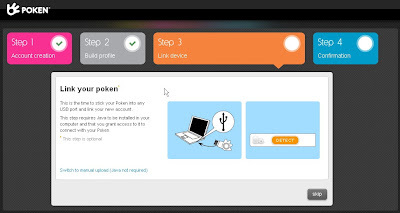 While the link did not work for me, I was able to login and create an account by going directly to poken.com. When you plug in a Poken for the 1st time, you must link it to your account. You can upload a picture and add your social networks to your Poken account. 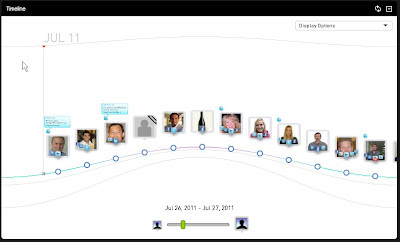 The Poken timeline shows your contacts, and the time at which you exchanged information. After you create a Poken account, you can see the timeline for all the contacts that you made, along with any other information that you acquired through a Poken contact. My sample came with a number of contacts that I had not met, all of them apparently Poken employees. This resulted in a somewhat corrupted timeline, since they showed up at various times after I first used the device. 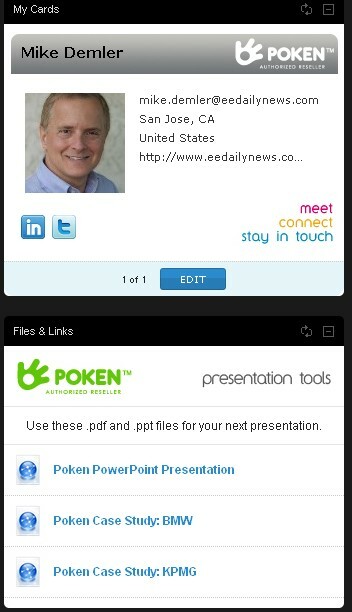 Since Poken setup user accounts ahead of the meeting, the Poken employees should have shown up at that time. 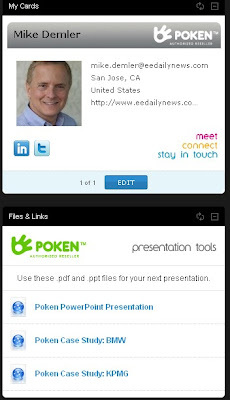 Poken can deliver collateral materials to users through Amazon cloud services. 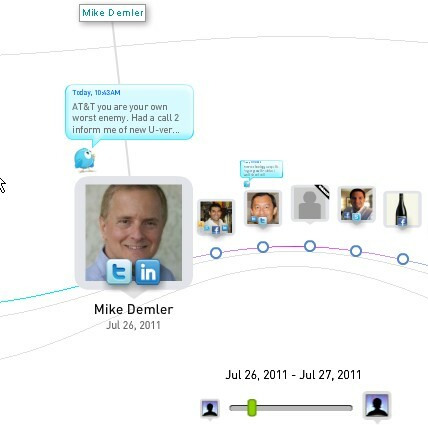 When you click on a contact in your timeline, you can view the users profile. You can click on any of the other Poken users in your timeline to get information on their profile. to connect through popular social media web sites. When you hover over a contact in your Poken timeline, you can see buttons for popular social media web sites that the user has included in their profile. 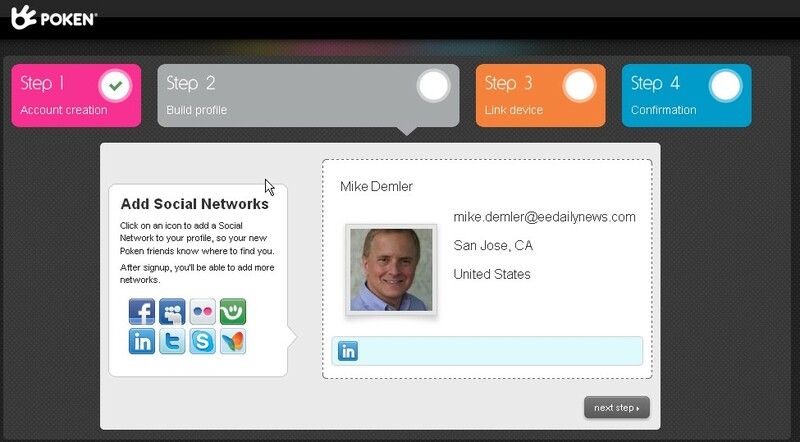 If you click on the button, it will take you directly to that users Twitter page, LinkedIn profile, etc. 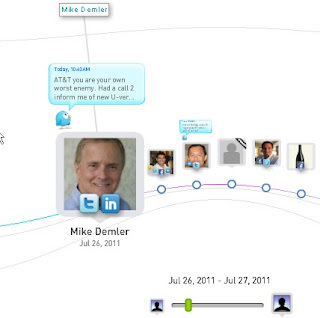 This can be especially useful for LinkedIn, to facilitate keeping track of where and when you made a business contact. 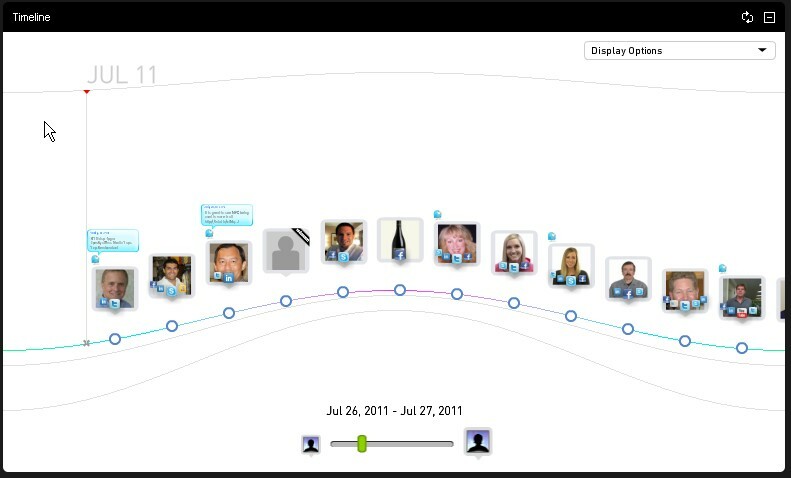 You can also see user's social media status updates, such as the tweets appearing above the users in the picture above. Poken is a great replacement for the scanning of bar codes at trade shows, an error prone process that must often be repeated several times to capture information. It also allows conference organizers and exhibitors to "go green", eliminating paper and plastic waste. By combining NFC and the cloud, Poken has developed a clever and easy to use mechanism for social networking, that can also be connected to brands to facilitate collection of valuable analytic data.